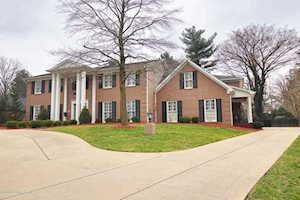 GLENVIEW ACRES & GLENVIEW SPRINGS are developments of all brick Louisville homes that are accessed from Lime Kiln Lane. You will find these houses between I-71 and the Ohio River just outside the Watterson Expressway. Glenview Springs are brand new luxury homes and Glenview Acres would be an older, established subdivision of luxury homes located in the zip code 40222. These homes sell from half a million to a million dollars. The Hollinden Team updates this search for Glenview Acres & Glenview Springs homes on a daily basis from the Louisville MLS. Click the map to the left to view each home in Glenview Acres & Glenview Springs. There is a satellite view button in upper right. It is a short hop to the Watterson Expressway which will take you to a myriad of shopping, or stay on the Brownsboro Road corridor. Golfers would love Glenview Acres & Glenview Springs as Standard Country Club is just down Brownsboro Road. Dunn Elementary School is very close along with Kammerer Middle School and Ballard High School. If you would like to learn more or have any questions about any of these Glenview Acres & Glenview Springs houses for sale, or others in the zip code 40222, just click the "Request More Information" button on any property detail page. The Hollinden Team can provide you with past sale information, comparables, disclosures, PVA assessment, and tax information – we would love to answer any real estate questions you have. You can reach Real Estate Agent Tim Hollinden at 502-429-3866 for more information on these houses for sale in Glenview Acres & Glenview Springs.